This post comes from Viavi’s Optical Security and Performance Products (OSP) business. OSP is a leader in high performance thin film optical coatings, providing light management solutions to government, aerospace, consumer electronics, automotive, anti-counterfeiting and instrumentation markets. 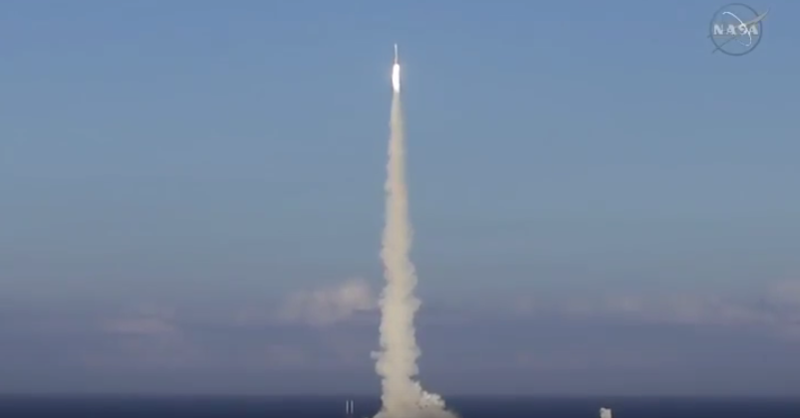 It’s not every day that NASA launches a spacecraft into outer space with the mission to study and take samples from an asteroid. 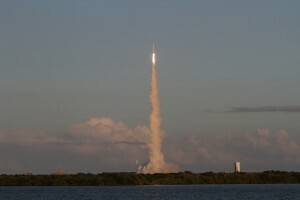 Matter of fact, NASA has never launched a spacecraft with the mission to study and take samples from an asteroid, until now! 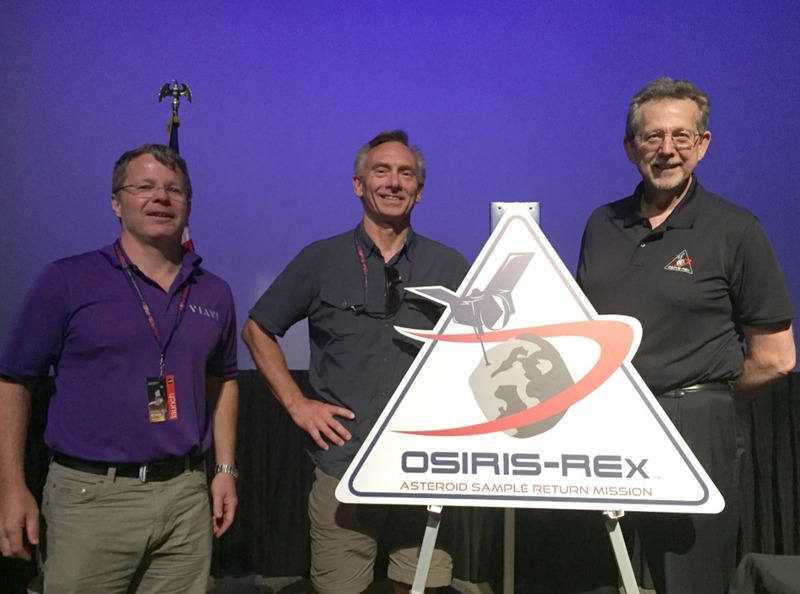 On September 8, NASA is scheduled to launch Origins-Spectral Interpretation-Resource Identification-Security-Regolith Explorer, OSIRIS-REx for short. 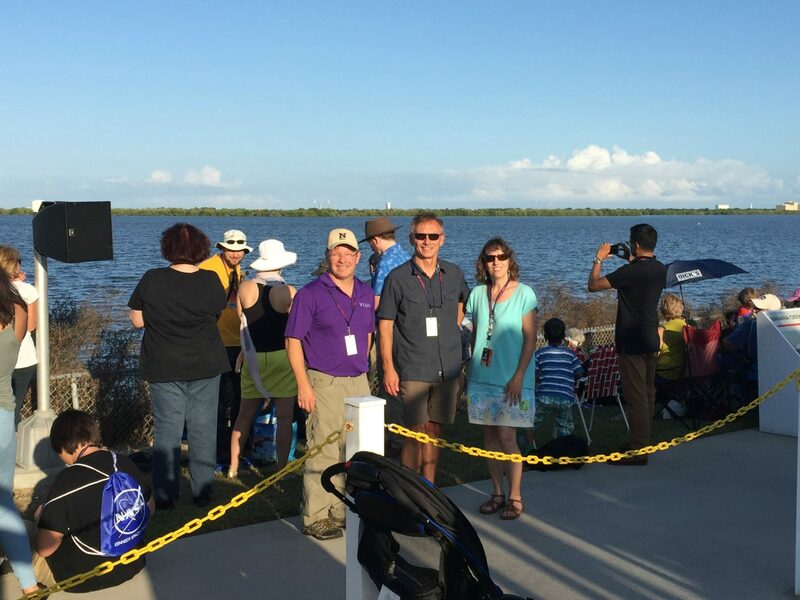 In attendance at this historic launch will be engineers from Viavi Solutions who developed the optical filters that will help analyze the asteroid Bennu. Bennu is a near-earth asteroid of special interest to planetary astronomers here on earth. The asteroid is a rare, “B-type”, meaning it dates back to the earliest days of our solar system and is carbon-rich, with the potential to contain chemical building blocks of early life on earth. Bennu is interesting in another way, too: there is a small probability that it will collide with the earth late in the 22nd century, with potentially dramatic consequences to life here. 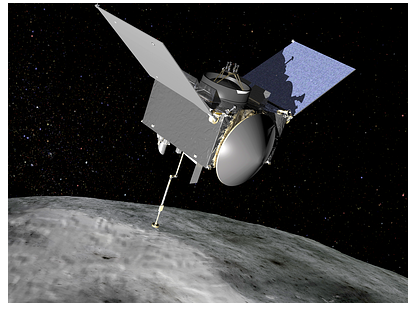 Over the next three years, the tiny, high-speed, and heavily-instrumented OSIRIS-REx will make its way to Bennu. Deep inside the spacecraft is a tiny, but highly sophisticated Viavi optical filter that is critical to a successful mission. Once OSIRIS-REx arrives at Bennu, it will spend almost a year circling Bennu’s 500-meter diameter body, studying and mapping the surface. 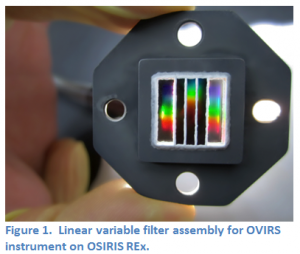 The chemical survey of Bennu’s surface will be done primarily by an instrument called OVIRS – OSIRIS-REx Visible and Infrared Spectrometer – that incorporates Viavi’s filter. 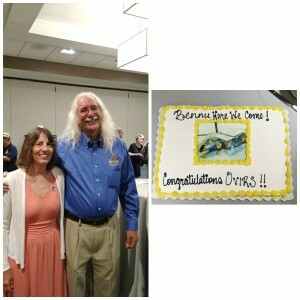 The OVIRS images will help mission scientists analyze the chemical composition of the surface and choose a sample site. Once the site is chosen, OSIRIS-REx will cozy up to the surface, scoop up a handful of rock and dust and the sample capsule will return back to earth. “Being part of NASA’s planetary exploration is one of the most exciting parts of my job,” says Karen Hendrix, Principal Filter Designer at Viavi Optical Security and Performance Products in Santa Rosa, California. “Their projects always push the cutting edge of our technology.” The technology Hendrix refers to is OSP’s unique Linear Variable Filter (LVF) technology. LVF technology enables highly miniaturized hyperspectral imaging cameras, which are cameras that capture images in hundreds of different wavelengths of light for imaging and chemical analysis. The challenge in this development, says Hendrix, was designing and building a five-filter assembly (see Figure 1) to cover the unprecedented spectral range from 0.4 micrometers in the visible to 4.3 micrometers in the mid-wave infrared. 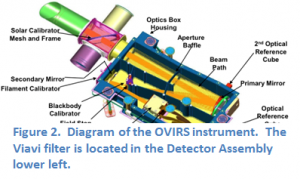 The broad wavelength range is necessary because the OVIRS camera (see Figure 2) is the critical instrument to allow mission scientists to analyze the mineral and organic composition of Bennu and choose exactly the right spot to grab a sample to bring back to earth. 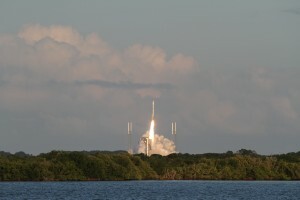 The material from Bennu will be the largest sample of extraterrestrial matter brought to earth since the last Apollo mission to the moon in 1972. 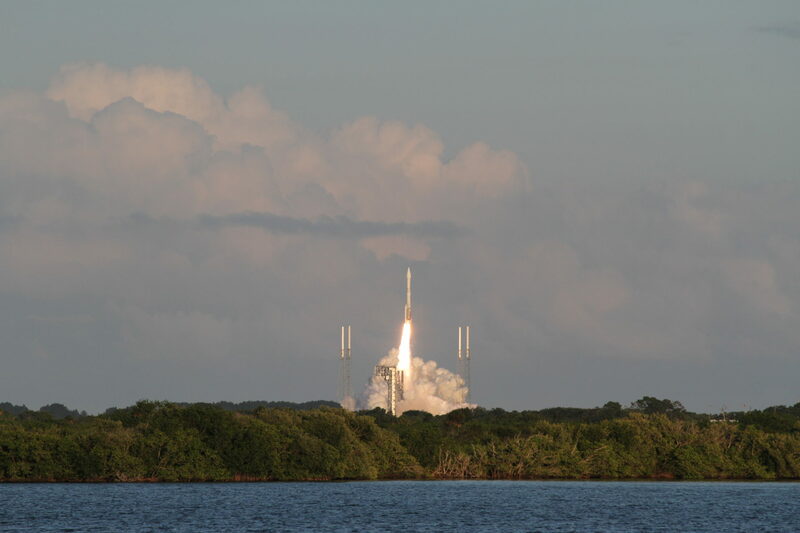 The other key science objective of the mission will be to measure the orbital deviations of Bennu as it circles the sun and approaches earth every six years. There is a slight chance that Bennu could enter earth’s atmosphere late in the 22nd century, and the measurements will help us to understand the probability and plan a possible avoidance action. 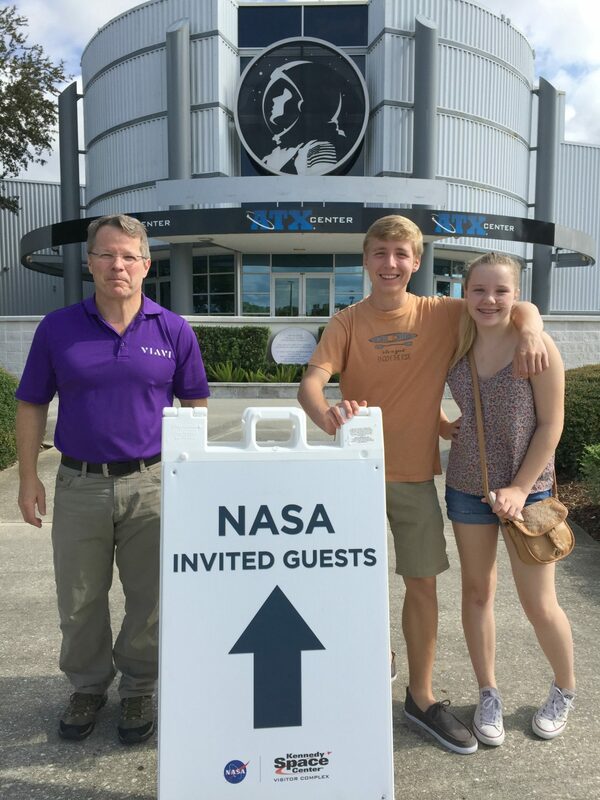 Hendrix, along with Project Manager Dr. Mark Kozlowski and Product Line Manager Shawn Cullen and their families have been invited by NASA to attend the launch. “This is the culmination of years of hard work,” says Cullen. 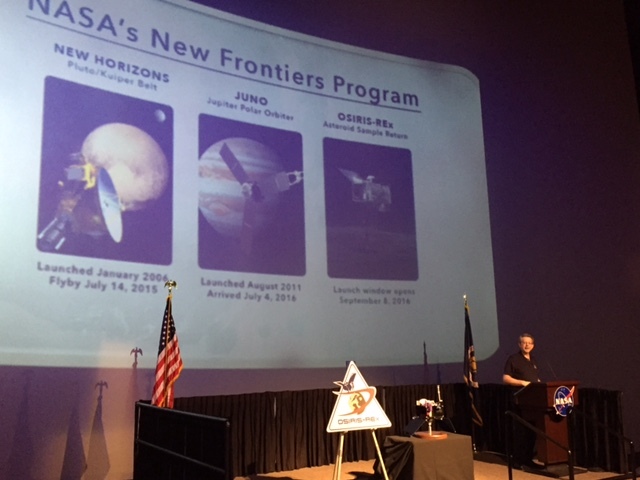 “We received NASA’s original inquiry in 2012, started work in 2013 and shipped the filters in 2014. 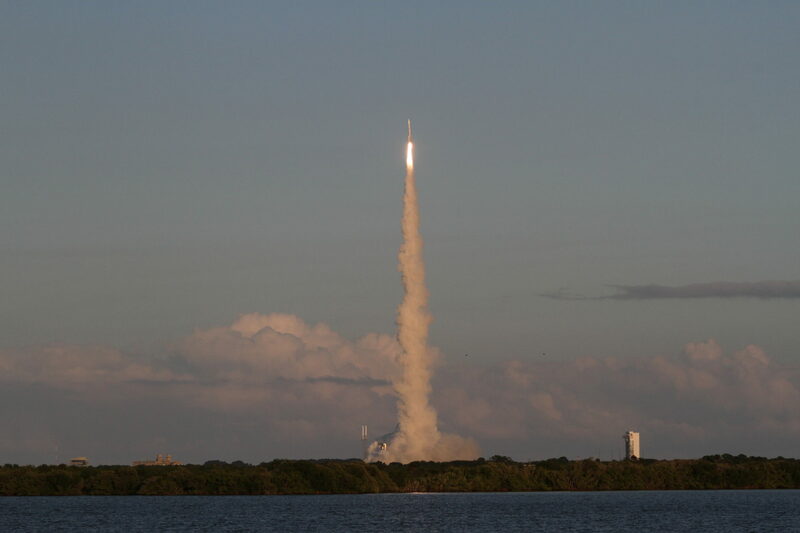 Now after four years we get to see them fly!” The team will be waiting a while longer because OSIRIS-REx won’t reach Bennu until 2019 and won’t return its payload of rock and dust to earth until late 2023. Mark your calendars, though – it will be big news! 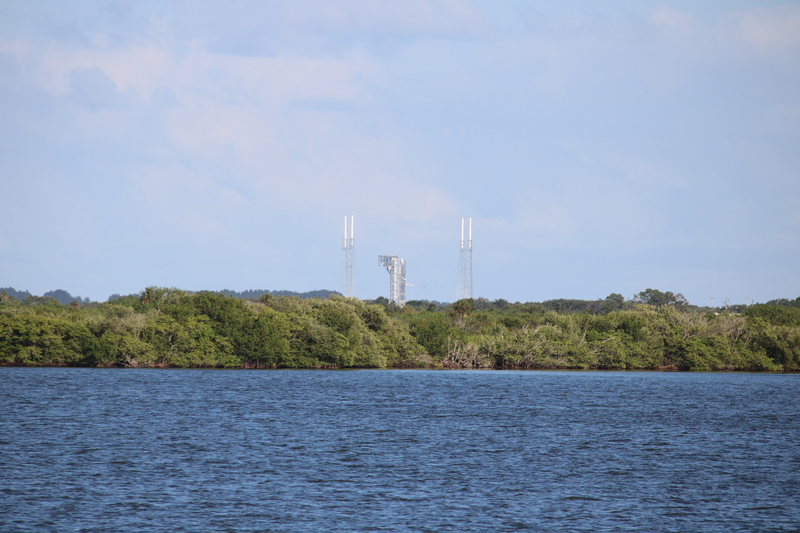 Thurs., Sept. 8/7:06 p.m.: Lift off! Thurs., Sept. 8/6:49 p.m.: Karen Hendrix, Mark Kozlowski and Shawn Cullen are waiting for the OSIRIS-REx launch. 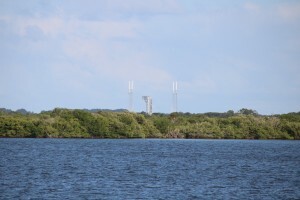 T-10 minutes! Thurs., Sept. 8/5:56 p.m.: OSIRIS-REx is nestled on the launch pad ready for lift off! Thurs., Sept. 8/4:23 p.m.: Viavi’s Shawn Cullen & Mark Kozlowski snap a quick picture with Dr. Jim Green, Planetary Science Division Director, NASA HQ. They all agree, today is a great day for launch! 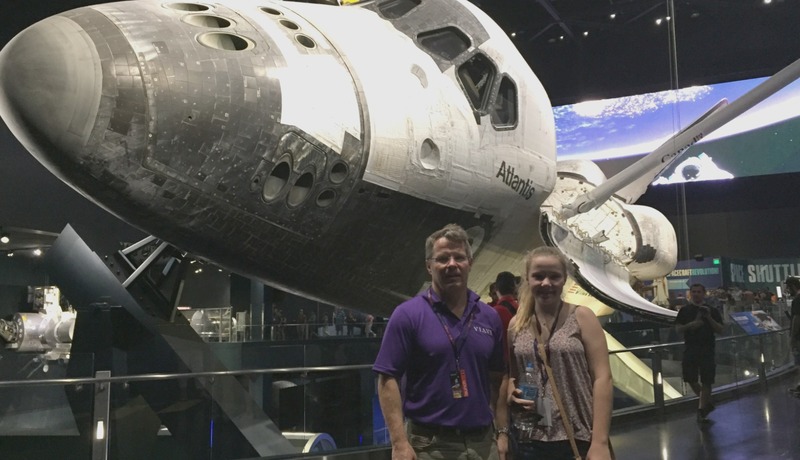 Thurs., Sept. 8/1:40 p.m.: The Atlantis space shuttle on display incorporates Viavi’s OSP window coatings. Thurs., Sept. 8/11:47 a.m.: Guests are invited to attend a mission briefing detailing NASA’s New Frontiers Program. 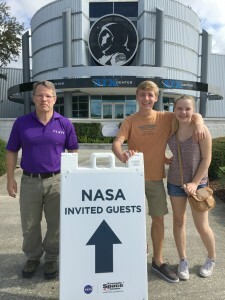 Thurs., Sept. 8/10:22 a.m.: Shawn Cullen along with his son and daughter are about to check-in at NASA’s ATX Center for their launch passes. 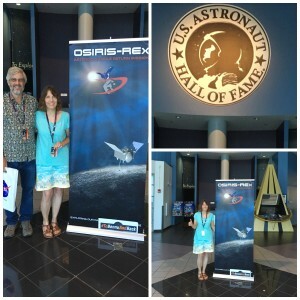 Thurs., Sept. 8/7:09 a.m.: Karen Hendrix and husband Blain Hendrix snap a quick photo with their launch passes in front of the U.S. Astronaut Hall of Fame. Wed.,Sept. 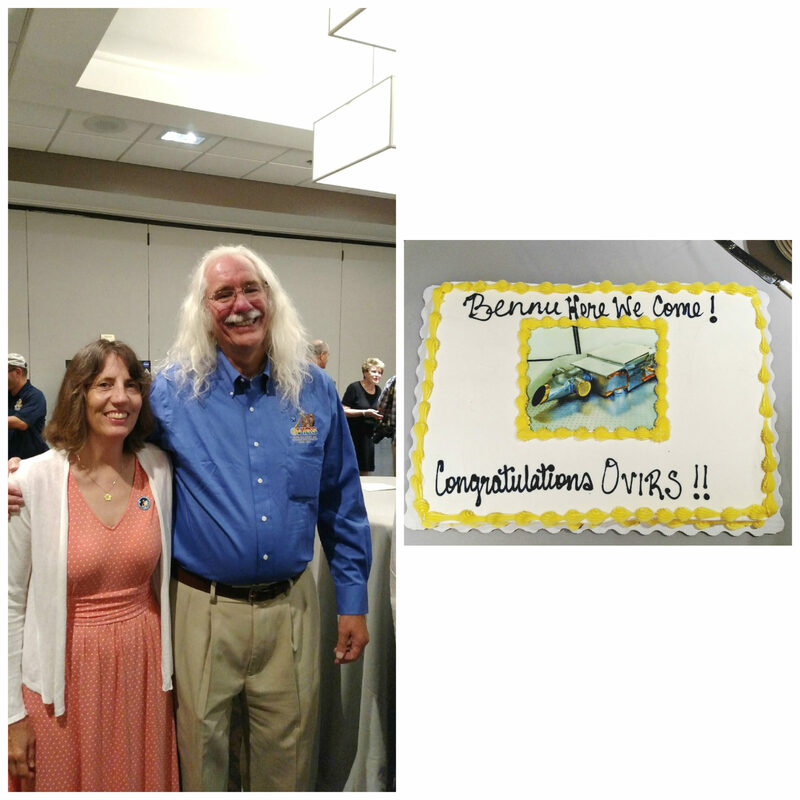 7/5:00 p.m.: Karen Hendrix poses for a quick picture at the OVIRS Event with Dr. Dennis Reuter, Astrophysicist with Emphasis in Planetary Studies, NASA.